Dealertrack solutions enhance efficiency and profitability for all major segments of the automotive retail industry in the U.S. and Canada. Dealertrack is the leading provider of digital solutions to the automotive retail industry. 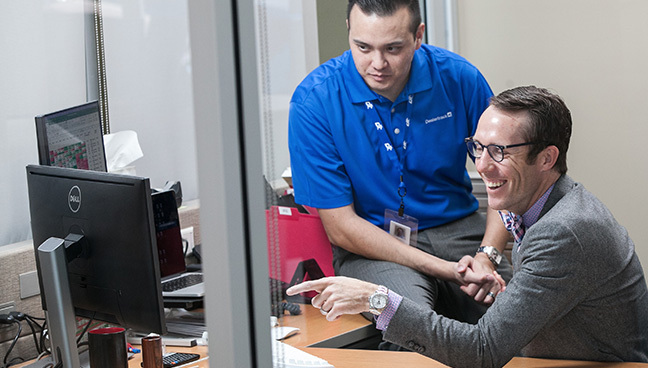 Our integrated approach to products and services includes the largest lender network in North America, the most advanced dealer management system (DMS), leading-edge sales and F&I solutions, and complete registration and title solutions. Technology has the potential to make dealership employees more efficient and productive. Research shows that outdated and inefficient technologies are having the opposite effect in many dealerships. The Todd Wenzel Automotive Group, a four-store dealership group in Michigan, recognized this problem and began searching for ways to be more efficient. We're here to help! Learn more about Dealertrack or other Cox Automotive brands and solutions. Have a question about how Dealertrack works with other Cox Automotive solutions? Other Cox Automotive brands to help you effectively optimize and streamline your operations or to make in-store sales experiences smooth, quick and trustworthy.